Alabama doesn't have many hikes with much elevation change so the Walls of Jericho is a unique hike because the hike descends 1000 feet into a beautiful canyon. Operating Seasons and Hours: Open every day all year long. However, make sure you have plenty of daylight left before you start this hike. Also the river waters can be very high in wet months. This was the second stop of the fourth day of my family's road trip to the Lookout Mountain area of Alabama in April of 2016. We visited the US Space and Rocket Center in Huntsville. 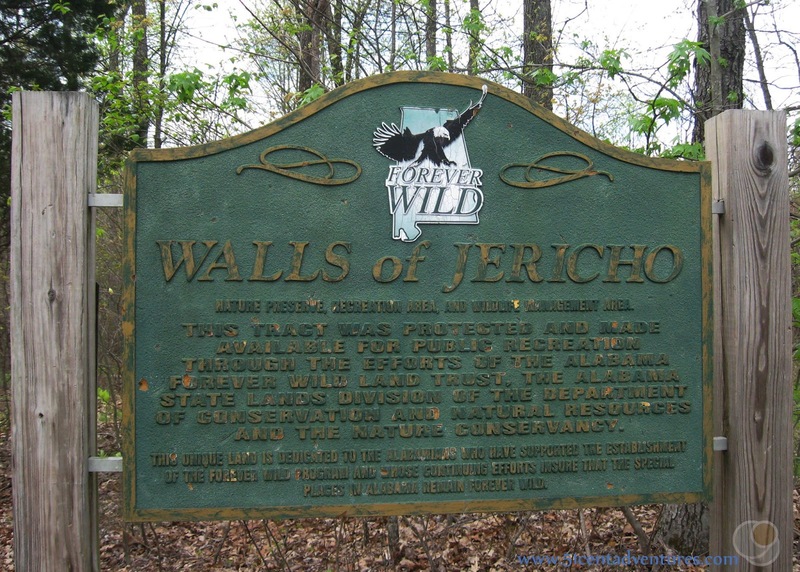 On our way back from the Rocket Center we decided to take a little detour up to the Walls of Jericho trail. I think this sign is a good way to start this post. 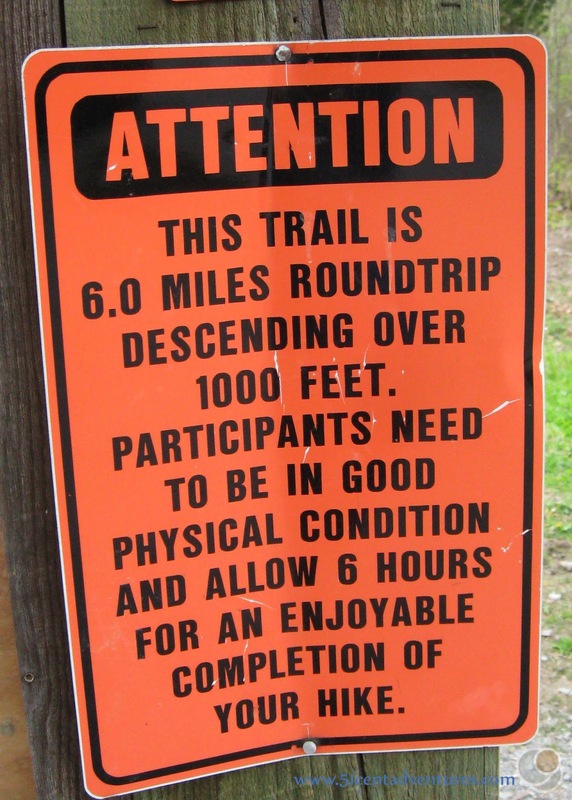 If my husband and I were travelling on our own and saw this sign we'd be like, "oh heck yes we are doing this hike." But in reality we were travelling with our four children who are all younger than six years old. So instead, our response to this sign was, "well that's a nope." And that pretty much sums up our experience with the Walls of Jericho. I'd read a little about the Walls of Jericho in my Alabama Visitor Guide, but there hadn't been many details. I'd checked it out online and fount a little bit more information. From what I could gather there was a hike down a steep canyon to the Paint Rock River. The river flows over rocks that look like walls and that's where the name Walls of Jericho comes from. The hike sounded interesting, but I was pretty certain that my children wouldn't be able to do it. So I didn't even bother putting the Walls of Jericho onto the itinerary for our trip. However, when we were driving to Huntsville on Highway 72 my husband and I saw a sign indicating that the walls of Jericho were only 26 miles to the north. After we finished with the Rocket Center we decided we had enough time to at least go see the trail head for the Walls of Jericho. I was hoping that maybe there was a good lookout into the canyon or something. So we drove up Highway 79 almost all the way to the border between Alabama and Tennessee. When we found the trail head there wasn't any sort of overlook or anything. Just a trail going off into the woods. There was also a sign describing the area. And of course the warning sign. That convinced us that taking our kids on even a short walk down the trail was probably not a good idea. The Walls of Jericho trail is officially on the "when the kids are older list." 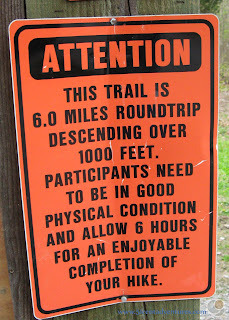 Until then it was fun to see the trail head and worth the short drive. Recommendation: If you don't have young kids or any other concerns that would prevent you from enjoying this hike, then you should consider adding it to your visit to Northern Alabama. 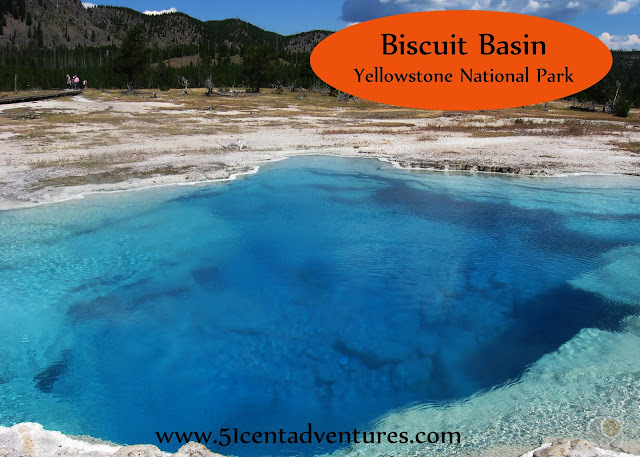 If you want to read about what the hike is like check out this post from Backpacker.com. 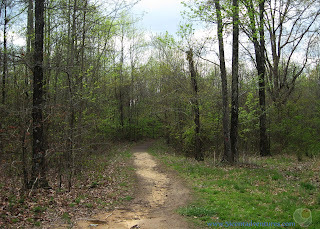 Directions: The Walls of Jericho trail straddles the Alabama Tennessee border. 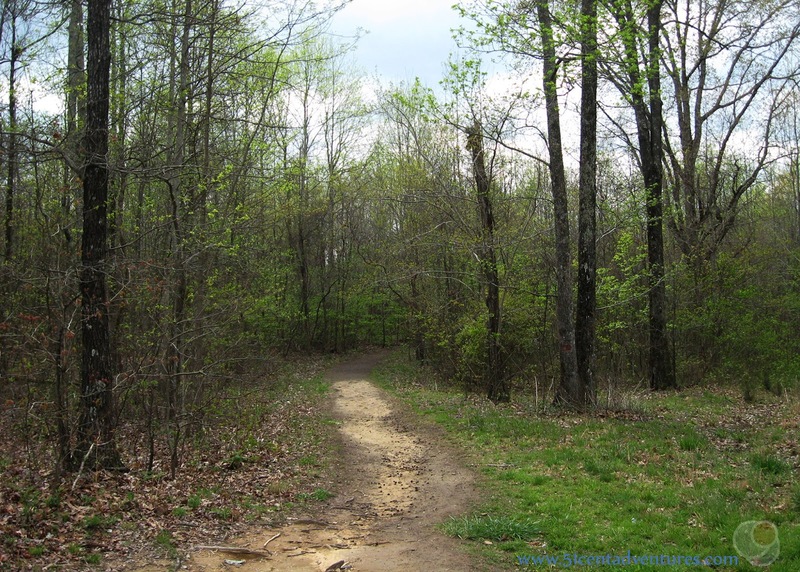 The Alabama Trailhead is located on Highway 79 about 5 miles north of the town of Hightop. Places Nearby: Another place we could have stopped on our way back from Huntsville was Cathedral Caverns State Park near Woodville, Alabama. The cave in this state park has a large opening that is 126 feet wide and 25 feet high. The cave also contains one of the largest stalagmites in the world. The stalagmite is named Goliath and measures 45 feet tall and 243 feet around. I would have loved to visit this cave with my family, but we'd already decided that Ruby Falls was going to be our only cave tour for this vacation. The cost of $18.00 for an adult ticket and $8.00 for children from 5-12 played a roll in that decision. Plus I didn't think we'd appreciate the cave as much since we'd have been to Ruby Falls only two days earlier.